Pathways is the Toastmasters’s new education programme! 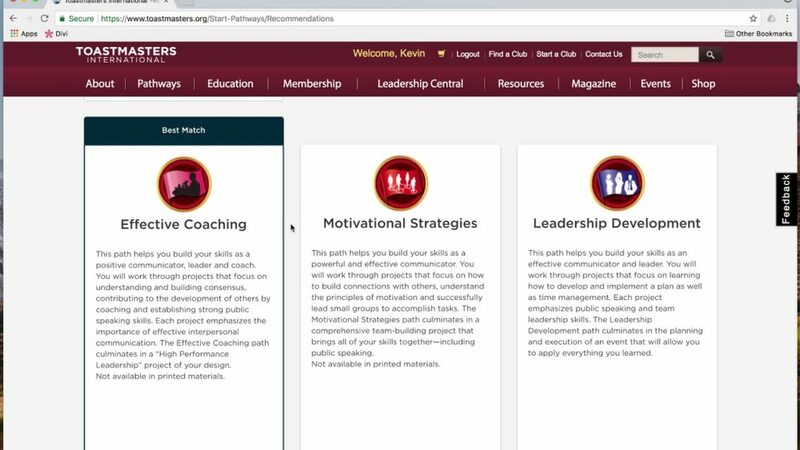 As the foundation of your Toastmasters experience, Pathways is designed to help you build the competencies you need to communicate and lead. This page covers what steps the brand new member takes when joining Toastmasters and how the nuts and bolts of Pathways can be simplified. HOW DO I ENROLL INTO PATHWAYS? STEP 1 – Take the online assessment. STEP 2 – Select a path. STEP 3 – Move from level 1 to level 5. Let’s break the steps down. Create a login on the www.toastmasters.org. If you do have a login, skip this step. Once you have set your login up, you can now take the online assessment. Select Pathways from the main menu. From the drop-down menu, select Take the assessment. Scroll down, click on the Take the assessment button. From the pop-up window, Select Assessment Language. Answer all the assessment questions. Based on your answers, you will be shown three recommended paths. Either select one of these three paths – this is the best match according to the answers you have given. Or proceed with any other path you may like. Once you have selected your path, you will receive a confirmation email shortly and be able to start your path in approximately 30 minutes. You have selected your path (e.g. Leadership Development) and now you want to complete a Toastmasters Pathways project. How do you go about this? Before we break it into steps, you need to know a few things. Every single path consists of 5 levels. As you progress through these 5 levels the projects increase in challenge. Each path starts with an Icebreaker and each project contains a speech. When you complete a level, you receive recognition. 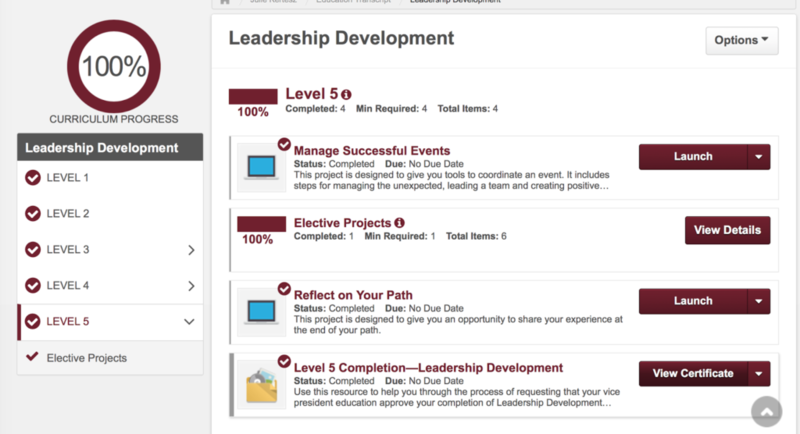 Now, let’s see how you complete a Pathways project and how you move from level 1 to level 2 within the path. From the drop-down menu, select Go to base camp. Now you see three columns. From the column in the middle (Access my path through base camp) click on the Login as a Member button. Once you do click, you are taken into your individual base camp page. On your individual base camp page click on MY EDUCATION TRANSCRIPT – that’s where all your projects are stored. Click on the Open Curriculum button and you will be shown the projects you have completed so far. Click on Launch and a window will pop up – if you have a pop-up window block turned on, please turn it off. Once the pop-up window opens, expand it to full screen. This is the navigation screen which is common to all paths. Click on the forth arrow or Next button to be taken into the next page of your particular project. You are provided with a wealth of information regarding your project – objectives, preparation, structure, tips etc. Use the back/forth arrows and Back/Next buttons to read through the project. Now that you have read through the project, plan and prepare your speech. Congratulations! You have completed the project and you are now ready to advance to the next project of your path. By repeating this process you gradually move from level 1 to level 5. 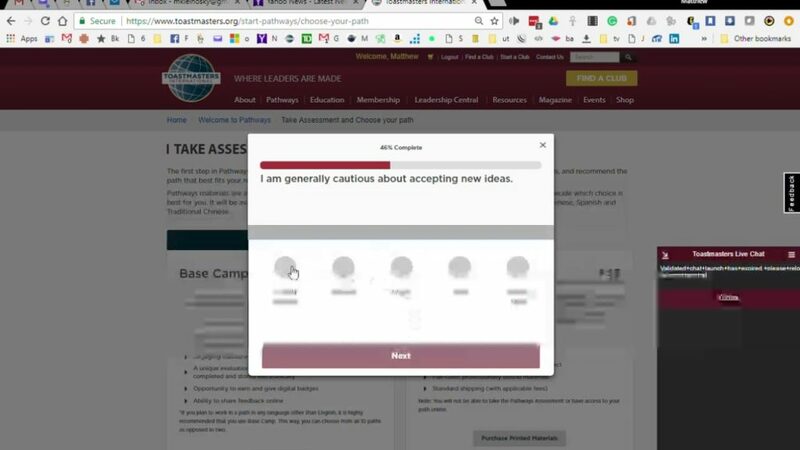 In conclusion, if you are a new member and you don’t know where to start from, follow the three steps as they have been described above: take the online assessment, select your path and complete your first Toastmaster Pathways project. 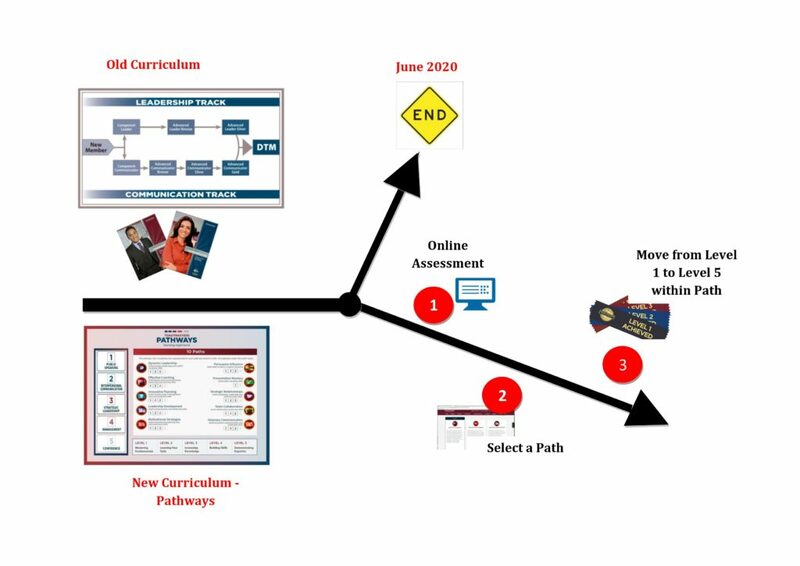 If you want to learn more about Pathways, read through the Navigator. Alternatively, you can visit the Toastmasters International website here.